ADAS, smart safety systems, and human to machine subsystems generate vast amounts of data to transport throughout a vehicle. Furthermore, requirements for greater integration between vehicle subsystems are driving fundamental architectural changes: moving from simple ring networks to more complex topologies, including gateways connected to a backbone. Automotive Ethernet stems from proven IT technology and serves the needs for both capacity and integration. Unlike non-automotive Ethernet, the automotive bus uses unshielded, single twisted-pair cabling designed for lower weight and cost. It uses PAM3 modulation to achieve high data rates and reliability. 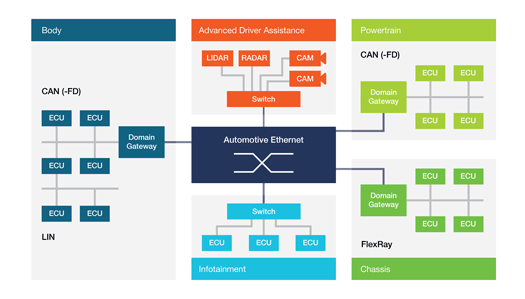 The automotive standard has its origins in Ethernet, but incorporates significant changes at the physical layer to meet automotive requirements. The first version of the standard is known as BroadR-Reach and is being supplanted by the IEEE versions known as 100BASE-T1 (P802.3bw) and 1000BASE-T1 (802.3bp). To insure the interoperability of hardware and assure reliable vehicle operation in diverse operating conditions, strict constraints are placed on signal levels, noise, and clock characteristics. The testing techniques specified by the standards, although well-established for stationary Ethernet networks, have created new design challenges for many automotive engineers accustomed to working with slower serial buses like CAN and LIN. Once a prototype network device is built up, it’s time to ‘bring up’ the design and characterize it to make sure it’s within specification. 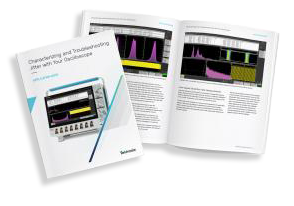 Tektronix oscilloscopes are an invaluable tool for bringing up and characterizing your Automotive Ethernet design. It’s to be expected that in complex networks systems or components sometimes fail, requiring speedy debug to root cause. Automotive Ethernet’s higher data rates and embedded clocking are sensitive to noise and power variations. Engineers, used to evaluating waveforms as part of their troubleshooting procedure, often find the PAM3 signals more difficult to debug. Also, since automotive Ethernet is a bi-directional bus it can be more challenging to capture the exact signal of interest. 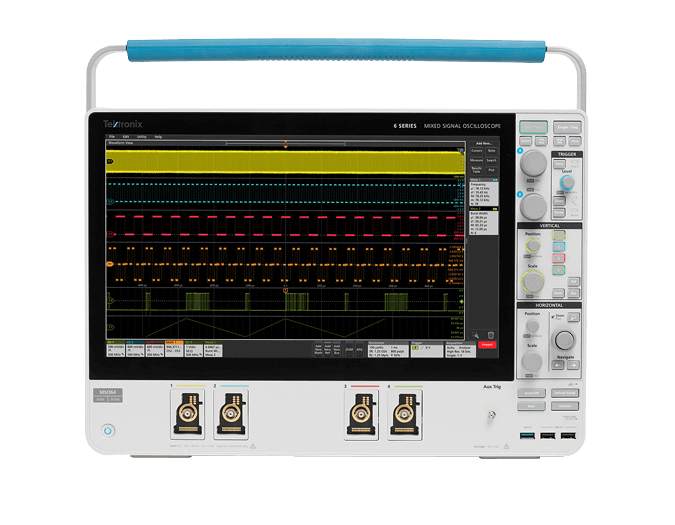 Tektronix oscilloscopes configured with advanced analysis software provide the tools required for quick and effective troubleshooting if you miss the mark on a spec. Troubleshooting complex systems requires multi-channel measurements and capable signal integrity tools such as FFTs and jitter analysis. 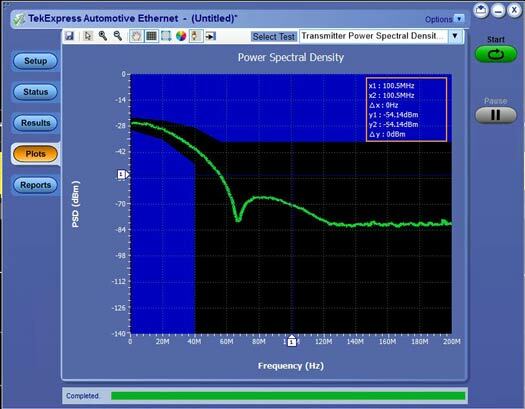 Automated tests such as this Power Spectral Density test, confirm compliance with the standard by comparing results to test limits. With greater integration of subsystems into networked environments engineers have to provide verifiable, objective evidence that every device is interoperable; that an individual ECU will reliably communicate with any other ECU. Requirements also extend to EMI/EMC and ESD testing. However, the adoption of more complex, high speed Mbps and Gbps serial technologies can be more challenging to test. 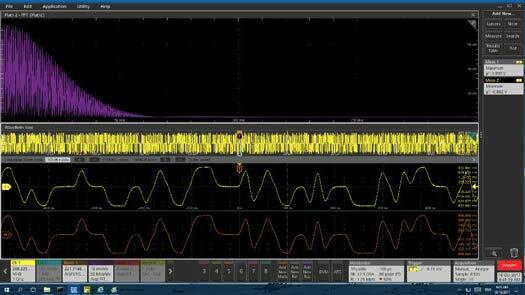 Tektronix has been involved in high-speed compliance testing for many years and is applying this expertise to testing newer technologies in automotive. Compliance solutions include support for 100BASE-T1 (802.3bpTM) and as well as BroadR-Reach. Both adhere to the testing requirements defined by the OPEN Alliance. 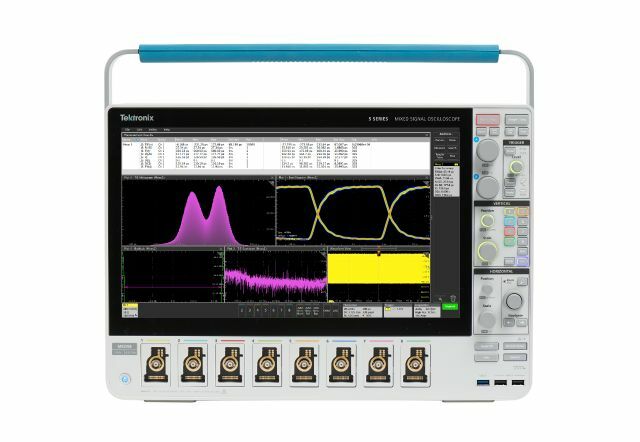 Tektronix oscilloscopes and spectrum analyzers can also be applied for ESD and EMC testing. 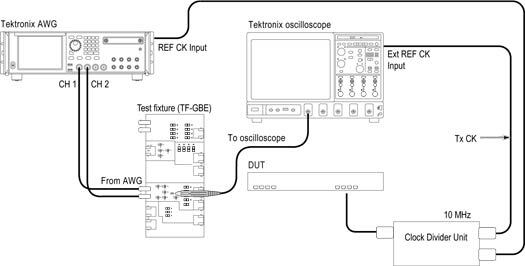 Testing an automotive Ethernet transmitter requires an oscilloscope, appropriate probes, signal source and test fixtures. Automate your compliance test. Compliance testing software helps set up and execute critical tests for compliance with IEEE P802.3bw, 1000BASE-T1 (802.3bp), and BroadR-Reach V3.2 specification requirements. Automated testing software may be installed on a new instrument, added to an existing instrument, or shared among a fleet of scopes in the same series. Click on the links for quick access to datasheets. Gives examples of jitter analysis, from basic analysis using frequency and Time Interval Error (TIE) measurements, to more advanced jitter decomposition techniques to help isolate the sources of jitter. 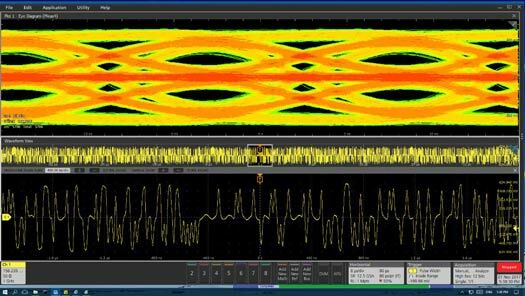 Shows examples of jitter measurements using the 5 Series Mixed Signal Oscilloscope on unmodulated clocks, spread spectrum clocks, and serial data.